Children’s Rolling Luggage Reviews: How to select the best Rolling Luggage? Even though as a parent, you can take all your kids belongings into your luggage, it would be nice to give them their own rolling luggage to make them feel like they are responsible of their own stuff. It’s nice to see them take care of their own belongings and take them anywhere they go with care and protection. Many parents choose having a rolling luggage for their kids because it’s not only cute, but it also helps ease the weight of the parents’ own luggage. It also avoids having the child carry his stuff and eventually tire out (if it’s backpack). A rolling luggage would make the child feel as if he’s playing while travelling. If using for school, it also takes away the burden of having to lift heavy books and notebooks. Although it may seem that it’s just a breeze to pick the best rolling luggage for your child, you still need to consider a few factors such as the ones listed below. What are the factors for picking the best rolling luggage for your child? Size: Depending on the age of your child, you might want to match it with how much he can carry and how much you’re willing to put under his care. You can have a really small one for a child aged four and above, especially if he’s too young to realize that he has to take care of the bag and not tire out of it eventually. If he’s too young to care, chances are you’d be the one who will carry it for him, which is an added chore. Pick a bigger one if the child is really determined to have his own rolling luggage, or if you’re going to use it for school. Ask the child if he wants his own, or he’d rather have a small bag with his goodies in it. It’s important to make the child commit to it; otherwise, you may have to spend a few important minutes looking for a missing children’s bag. Design: The look of the bag is really important. 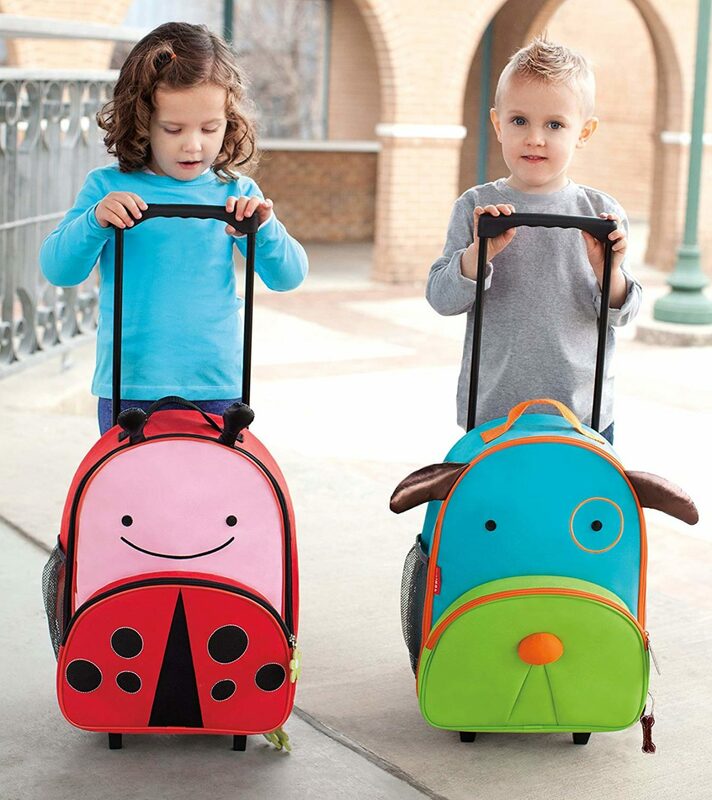 If adults would spend on a luggage depending on the size, kids would buy the ones that look really, really adorable. If you can, bring your child when you go luggage shopping so he could choose the design he wants. When a child owns something that he really likes, the chances of it being taken care of is higher. Children don’t know the value of things yet; they would much rather have something really adorable and cute, so the design is important. If you can, pick something that is their favorite color, or has prints of their favorite cartoon character. Purpose: What is the luggage for? Finding out the purpose of the luggage helps you decide if you should really invest in one or just buy a cheaply made one to satisfy your kids’ wants. 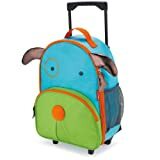 If you intend to have your child really have his own luggage to store his clothes and stuff every time you would travel, consider getting a heavy duty one that would last years of use. Also invest in something durable and something that could carry heavy stuff if you intend to use it for school. A good sturdy piece of luggage would cost about less than a hundred dollars. If your child is just jealous of other kids’ luggage and would not really take care of it or seriously use it, just buy one made of plastic. After all, he would just take it as a toy and you wouldn’t want to spend top bucks on something that he’ll leave behind after he gets bored. What are the best rolling luggage for kids? This luggage comes in four designs for girls and boys. If you’re looking for an ultra-cute bag that would make your child instantly adorable, definitely get this. The design is so cute that adults who see it will swoon and children will instantly feel jealous. Your kid will be the coolest in town. It isn’t only made for the looks, as it is also roomy for all your child’s belongings, whether it would be for travel or for school. 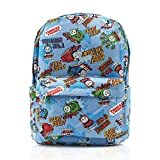 Designed mainly for boys or for girls who like Thomas the Train, this luggage will set your kid apart because of its unique and sturdy build. Make sure that your child knows and likes Thomas before purchasing it, otherwise he may not be very interested in it, or would want other characters if he sees one. For the structure, it’s well built and would house a lot of your kid’s stuff, be it clothing for travel or books for school. iFLY Luggage Hello Kitty Hard Sided Luggage 20"
Hello Kitty is probably the first love of girls. Every dream of your toddler will come true once she gets this super cute bag adorned with the face of their favorite kitty character. The color pink is also an added bonus. This luggage is made of polycarbonate hard shell, perfect if your child is prone to bumping her bag. It also carefully protects all her stuff without problem. The luggage is very roomy so you’ll be able to fit a lot of clothes and books, depending on the intended use. It also has a four-wheel spinner to give your child ease of movement and not worry about the weight she has to carry. Although this bag is expensive compared to the other ones previously reviewed, it’s really made of high quality materials and comes with a five-year warranty. Whether picking for a toddler or for a youngster preparing for school and travel, make sure to invest in a good-quality rolling luggage that your child will love and take care of. If you can, take your kid shopping for luggage so that he/she can choose the ones he/she likes. Rolling luggage teach kids who travel all the time be responsible about their own stuff. When used for school, it also helps them bring a lot of their books and school supplies without putting straining their arms and legs. Rolling luggage is definitely a worthy purchase.